Update: Wednesday afternoon, state officials declined a request by Denver’s public school system to intervene the city’s ongoing contract dispute. The teachers union said it is prepared to strike as early as Monday. Teachers, the teachers union, district leaders, the school board, and community leaders are unanimous in calling for an effort to close our deplorable achievement gap, yet the outcome of the current teacher compensation impasse (and possible strike) will likely determine what happens to that achievement gap. We need to think far bigger about how we can incentivize teachers to close this divide. Denver has one of the largest achievement gaps by income and ethnicity in the nation. According to our nation’s report card (2017 NAEP), eighth-grade non-low-income students are reading at the same level as the average non-low-income students in the country (and less than the same students in Massachusetts), while low-income eighth-grade students are reading at about the same level as those low-income students in Mississippi. All student groups have improved over time in Denver, but the achievement gaps have been growing over time as white and non-low-income students have grown more than other groups of students. Decades of research (and common sense) say that committed, well trained, and supported teachers with high expectations have a significant impact on student learning. This requires that teachers be well paid and supported by their school leaders. Teachers need to feel like they are all working together to better serve students and their families. There must be a caring, supportive culture in a school with a primary focus on student achievement for the school to be most effective. There is a wide body of research that falls under the “effective schools” research and other research on teacher attitudes that reinforce the relationship between a positive work environment and school impact, research by Anthony Bryk and others. We know that teacher turnover has a huge negative impact on student learning and that the DPS administration and union (DCTA) have both said that teacher turnover has to be reduced. Imagine the corrosive impact on a third-grader’s reading ability when you have had multiple teachers in one year or a series of first-year teachers just getting a handle on classroom management, not to mention the science of teaching reading to struggling learners. While it can sometimes be challenging to disentangle all of the factors that lead to why some schools thrive with certain populations of students and others flounder, we do know that if you are to have 30 or even 50 percent of your teachers changing every year, it is remarkably difficult, if not impossible, to support strong learning growth in a school. We also know that students entering a school far behind grade level and/or with any number of outside-the-school challenges, including poverty, can be more challenging to teach than students who enter a classroom already at grade level. Teaching in schools with nearly all students below the poverty line is far more challenging (and I would say, from my personal experience, more rewarding) than teaching in a school with students having all that they need outside of school to be successful in school. Money matters if directed appropriately. The latest research is very clear from Kirabo Jackson at Northwestern and others that an influx of funding, which is often directed at increasing teacher salaries, reducing class size, and increasing supports for students and teachers, has a lasting impact on student opportunity and success. I believe strongly that teachers must be paid as professionals with a living wage, not one that makes it difficult to live in the city where you teach. 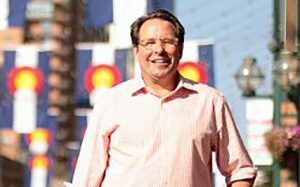 And while Denver is becoming an increasingly unaffordable city for teachers and families alike, each of the proposals presented by DPS and DCTA would provide teachers a significant pay increase: an average of at least 10 percent, though the amounts vary significantly depending on the particular teacher and proposal. Check out the current proposals on the A+ fact sheet here. Last, we know that schools and districts can close these gaps when everyone is rowing in the same direction, as we have seen in the A+ Colorado Outliers reports. Given all of this, it is both baffling and depressing that the current discussions around teacher compensation have had little discussion about what can be done to ensure that our most effective teachers work in the schools that most need them. Unfortunately, it is doubtful that $1,750 (DCTA proposal) or even $2,500 (DPS proposal) will be compelling enough for most teachers to work with the students that most need Denver’s most effective teachers. Indeed, in a survey of Denver teachers in 2014, respondents said incentives are far more compelling when they are in the $5,000-$7,000 range. Admittedly, the school leaders and culture matter more than salary, but for retaining many teachers, extra pay for extra work (as is the case for most of us) is an important compensation incentive. And again, research has shown that large incentives reduce teacher turnover. Denver has made some progress on reducing teacher turnover from a decade ago in large part to differentiated pay (paying teachers more in schools and classrooms most needing the most effective teachers). Denver will have to go much further on teacher incentive pay if serious about reducing the teacher turnover to reflect the numbers seen in the most effective schools in Denver. This will require that teachers be better supported in these schools, which will require more, not less, differentiated pay in these schools and classrooms. Incentives and a professional pay scale make a huge difference in reducing teacher turnover. We saw a 4 percent reduction to teacher turnover in high-priority schools serving mostly low-income students in Denver because of incentives. We know that attrition was only 6 percent for highly effective teachers in D.C.’s highest-poverty schools. D.C. teachers received much larger incentives than are being suggested for similar schools in Denver. D.C. teacher incentives go up to $20,000. Treating all teachers the same, when we know all classrooms and schools are not the same, will only exacerbate teacher turnover in the neediest schools and exacerbate the achievement gap. My guess is that without significant incentives, teacher turnover will increase dramatically in schools serving low-income students while teacher turnover will remain the same or maybe decrease in the schools that least need the most effective teachers. This will grow the achievement gap. 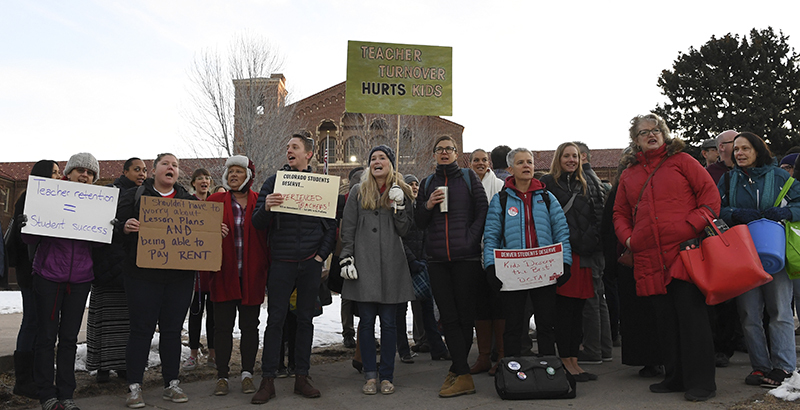 Denver must choose whether it is serious about reducing teacher turnover in the schools most needing a stable effective teacher core or whether it will continue to shed crocodile tears (thanks, Senator Bennet) over the ever-growing achievement gap but do little to address the some of the root causes of the gap. Is Denver serious about closing the achievement gap? If so, how will the proposals from DPS and DCTA close these gaps? Here’s hoping the focus on teacher compensation disagreements can return to the focus on students and especially the students that most need our best teachers.